We're expecting a killer frost just in time for Halloween. That's why we cut the seed heads off the sorghum to be dried and saved for hens. 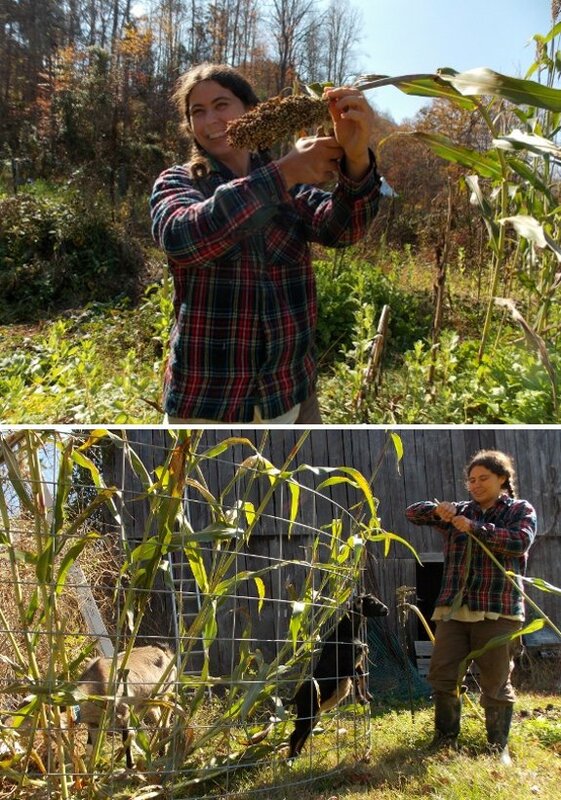 Anna gave the stalks to our goats thinking the leaves won't be as good after the frost.